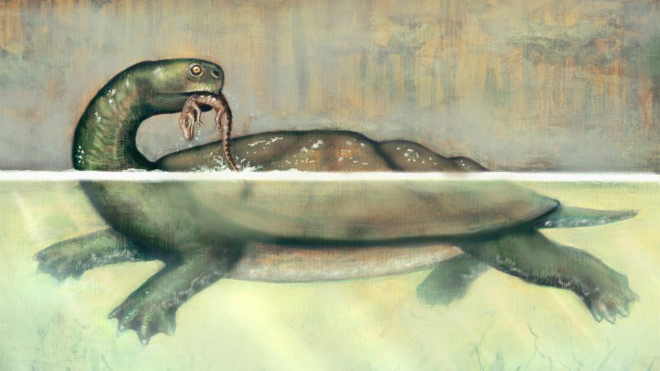 Scientists recently discovered a fossilised turtle so big, its shell could be mistaken for a boat. If you were to stand it up, is 1.7m, just shorter than the average male. That's just the shell. Its skull is about the size of a football and was equipped with massive jaws that allowed it to eat almost anything. This fossilised remains of this car-sized beast were recently discovered in Columbia.